An SEC filing reveals low reservation volumes for the NIO ES8. This is a new Chinese monthly update exclusive to BSCB, part of a China coverage we want as exhaustive as possible. New Energy vehicles include electric, hydrogen, PHEV and hybrid models. Keep in mind we are referring to retail sales including imports here as these offer a much more complete picture of New Energy sales than wholesales alone. New Energy models included in this study see their sales soar 57% year-on-year in July to 64.190, lifting the year-to-date total to 429.947. Toyota (+33%) reclaims the brands top spot off BYD (+176%), the two manufacturers being the only ones scoring five-digit sales figures. Roewe (+304%) remains in third place while Geely (+184%) is up 5 spots on June to #4 and BAIC BJEV (+2%) down one to #4, making it four Chinese carmakers in the Top 5 like in June. GAC Trumpchi (+30100%), Changan (+2852%), Lexus (+507%) and Honda (+331%) all post spectacular gains in the remainder of the Top 10. Model-wise, the Toyota Corolla Hybrid remains on top, a spot it also holds year-to-date, followed this time by the BYD e5 (+203%) and BYD Qin (+202%) with the Geely Emgrand EC7 PHEV (+79%) up 7 spots to #4 and the Roewe ei6 holding onto its 5th position. The Honda CR-V Hybrid shines at #9 and the Geely Emgrand GE lands directly at #10. 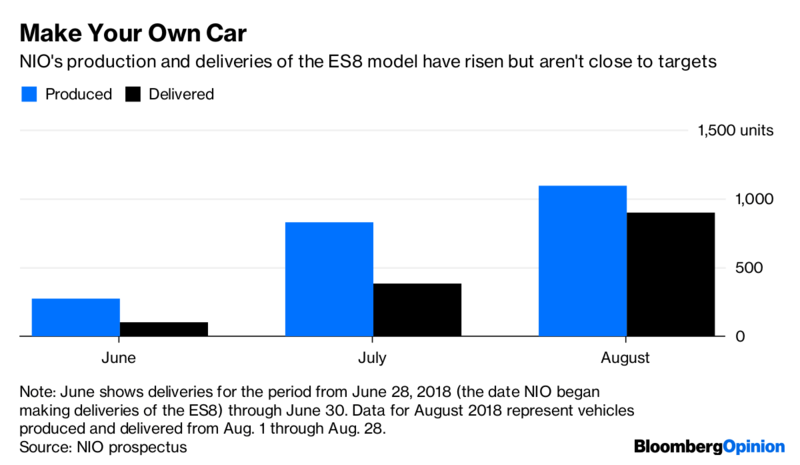 In July NIO scores its first three-digit sales month at 388 units of its electric SUV the ES8 vs. 83 in June, following an official launch on 28 June. One of the most impressive Chinese carmakers at the Beijing Auto Show last April, NIO is touted as the “Chinese Tesla” but has been extremely secretive – even combative – about disclosing actual sales. When we contacted them last April, they contested the sales figures we published (at the time 2 units in March) without providing additional info. A recent filing with the U.S. Securities and Exchange Commission (SEC), a mandatory disclosure before any potential IPO in New York which is what the company is aiming at, has uncovered the truth about NIO. As of 31 July 2018, the company had only 17.000 ES8 reservations, of whom only 4.989 are firm (ie non-refundable with 45.000 yuan deposit) and 12.000 are fully refundable (5000 yuan deposit). 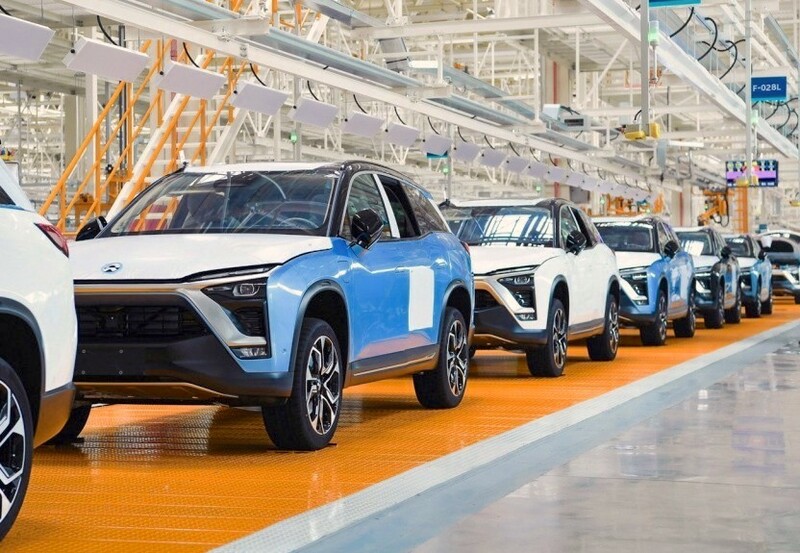 NIO also declares that if these 17.000 reservations were to be converted into actual orders, it would take the company “6 to 9 months” to produce the required vehicles. That is an awful lot of time for a local producer (through a license with JAC) in a market where to be deemed a success they would need to be able to pop out – and sell – that amount in 2-3 months max: Tesla imported 27.230 units over the past 9 months alone. NIO also claimed it delivered just 481 ES8 SUVs since the June 28 launch – a figure that ends up very close to the official 521 YTD we have in our charts this month. Bloomberg reports a little less than 1,000 units in August (see graph above). Better, but still low. Full July 2018 Top 50 brands and Top 100 models below.